Prof. José Ramet received his M.D. and Ph.D. degrees from the Vrije Universiteit Brussel in Belgium and did paediatric residency training at the Academic Hospital VUB. Prof. Ramet is currently Professor at the Universiteit Antwerpen and chairman of the department of Pediatrics at the University Hospital of Antwerp –UZA- located in Edegem. Prof. Ramet has made diverse contributions in the field of paediatrics publishing over 50 original research articles in peer-reviewed journals. He has worked on many aspects of paediatrics. His main research interest is in the area of autonomic nervous system control mechanisms, artificial ventilation and vaccination. His research has led to the development of newer and more effective ventilation techniques in children. Future research efforts are directed to new therapeutic strategies in the field of paediatrics. 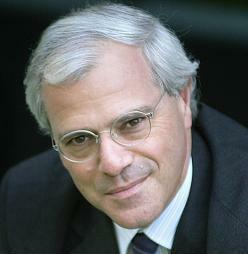 He is the first president of the European Board of Paediatrics; past-president of the European Society of Paediatric and Neonatal Intensive Care; he was secretary-general of EAP (European Academy of Paediatrics – UEMS section of Paediatrics) until 2012 and is now Executive Director of EAP. He is member of several scientific societies. On a national level he is past- President of the Belgian Paediatric Society, President of the Belgian Paediatric Clinical Research Network (BPCRN) and member of the Founding Committee of the Belgian Paediatric Drug Network (BPDN). He is full professor at the University of Antwerp, Faculty of Medicine and Health Sciences, Pediatrics. He has served on many international and national committees regarding research and training in paediatrics. He is a past or present member of the editorial board for several journals and at present member of the Editorial Board of “Pediatrics” and reviewer of several international publications. He gave over 150 conferences on international congresses and meetings.